Imagine the day that you can see your medical provider from anywhere in the country, including from the comfort of your own home. You wouldn’t have to take a full day off of work, travel long distances or spend hours in a hospital waiting room. Thanks to the age of smart phones and other advanced technology, that day has come. And it couldn’t have come at a more critical moment. Across the nation, wait times in the private sector for new patient appointments have increased 30 percent in the last three years, including in major cities such as Seattle, Boston, Denver and Los Angeles, according to a recent survey. Telehealth technology is revolutionizing how Americans access health care. Health care professionals have been using this technology for years, but with significant limits. Only a few states allow medical providers to use telehealth to practice across state lines, severely limiting the potential effect of this technology. Unlike the private sector, the Department of Veterans Affairs is uniquely positioned to leverage telehealth technology to its full potential. VA provides more telehealth than any other health system in the country. Last year, more than 700,000 veterans received telehealth services — with nearly half living in rural areas. Telehealth will never replace in-person visits, but it does provide greater choice for veterans and their families for how and when they receive care. VA offers nearly 50 types of specialty care through telehealth — ranging from teledermatology to teledentristry. But scale alone is not what matters in this case. Last month, President Donald Trump and I launched Anywhere to Anywhere Care, which includes critical regulatory changes that represent a major step forward. It signals VA’s intention to allow providers licensed in any state to provide services to veterans in another state. 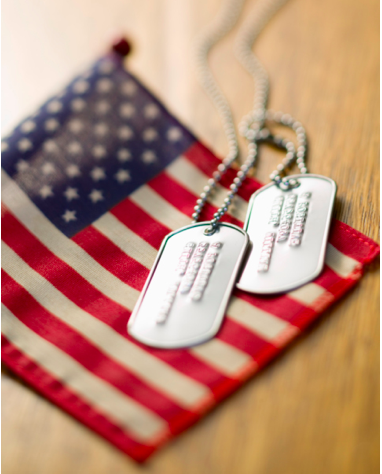 VA is using its federal licensing authority to address critical issues of access for veterans. VA providers will now be able to use mobile devices and apps, including our VA Video Connect app, to connect to veterans across the country to provide timely and convenient care. This will help reduce the amount of time a veteran needs to wait to see a provider, and they won’t have to travel to a VA or other federal facility to be examined. Timely access to care is a focal point of our modernization efforts, particularly in areas such as mental health. Suicide prevention is my top clinical priority, and we simply cannot delay services for veterans who are in crisis. If a veteran is in crisis and there is a shortage of mental health providers in his or her community, we will be able to connect them to experts in other parts of the country, allowing them to get the care they need right away. It just makes sense, and we are no longer allowing out-of-date regulations from preventing us from saving veterans’ lives. We are also reducing unnecessary burdens for families and caregivers. A World War II veteran in southern Utah has to travel 45 miles to get to the nearest VA medical facility. This takes a toll on the family as well as the veteran. In the near future, we will be launching a feature called Family Connect, which will allow any member of a veteran’s family, or their caregiver, to join virtually from their own personal device or computer from a separate location — making it easier for families and caregivers to be a part of their loved one’s care. In the past, a veteran would need a follow-up appointment with a specialist — extending the amount of time it takes for a veteran to receive the care he or she needs. Through our Provider Connect feature, VA providers will soon be able to connect to other VA providers across the county, including specialists, in real time. For example, if a primary care physician decided a veteran needed to see a cardiologist, the provider will be able to see a list of available VA cardiologists, and with a few clicks will be able to virtually connect them to veterans in real time. For the industry at large, technology has provided solutions for access for more than a decade. It’s been regulations and laws that have been barriers. VA has eliminated these barriers and in doing so can lead the industry. For those outside VA, in many part of the country these barriers still exist. VA is no stranger to innovation. It was VA that introduced the wide-scale use of the electronic medical records, bar coding of medications at the bedside, patient-centered medical homes, and primary care behavioral health integration. The use of telehealth in this way, and on such a wide scale, is yet another demonstration that VA is leading the way in health care. David J. Shulkin is the secretary of Department of Veterans Affairs.